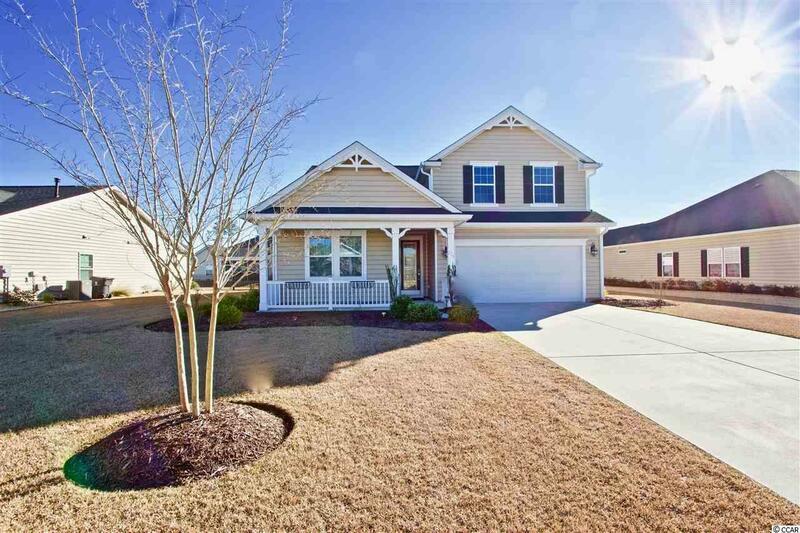 Welcome to this beautiful move-in-ready home located in the highly sough out neighborhood of Brookfield Estates in The International Club in Murrells Inlet. This home is the Crape Myrtle floor plan providing a large open kitchen and living space along with a large master suite. The home has hardwood and crown molding through out the main living areas, tile in the wet areas and carpet in the bedrooms. The kitchen provides optimal storage along with granite counter tops and stainless steel appliances. Upstairs you will find a large bonus room with a bathroom. This home also features a screened in porch out back perfect for enjoying the beautiful South Carolina weather all year long. This community is one of the few all natural gas communities in the area. Brookfield Estates is located near all the shopping, dining and golf that the area has to offer! Be sure to check out this wonderful home today!